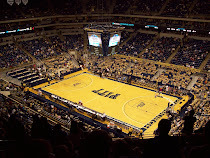 CARDIAC HILL - A Pitt Panthers Blog: Not So Fast? But McCoy's mother said Monday that the family is awaiting a report from the NFL Draft Advisory Board before making a final decision. "LeSean does love being there. 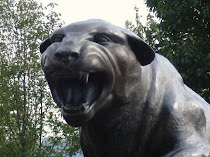 He loves Pitt and loves the football team. I know he wants to be there," Daphne McCoy said. "But he's 20. At 20 years old, you don't always know what's good for you. Certainly no reason to think he won't be back, but it also doesn't look like the guarantee it sounded like yesterday. I guess reports of him kind of backing away from the guarantee have some merit. From what it sounds like, I'd be surprised to see him go. But does that change if the report projects him as a high first-rounder? That might be too hard to pass up. Personally I think it's inevitable that he'll be back anyway. Seems like that's what's been speculated the most.